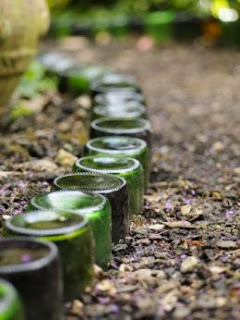 Mia's Garden: Oh Pinterest - I love you! Oh Pinterest - I love you! 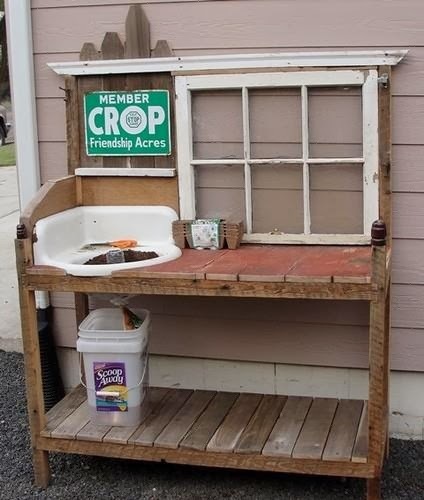 There are SO many great gardening ideas on Pinterest! 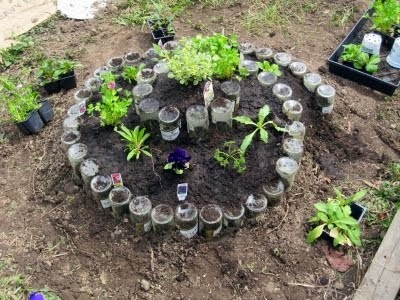 With a little (well, actually A LOT) of help from my friends, I'm on the hunt for an old, used sink and some colored bottles (blue/green/brown) to edge the herb bed. 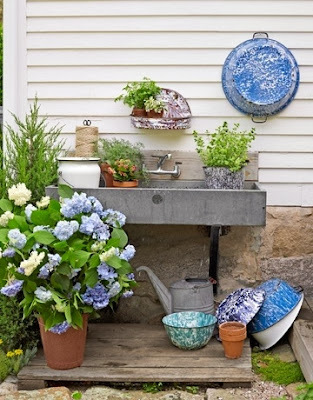 FIRST: An OUTDOOR SINK .. maybe with a Potting Table! 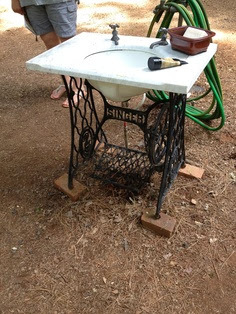 Combining 2 of my loves - gardening with a sewing machine base! And THIS is WAY Cute!! 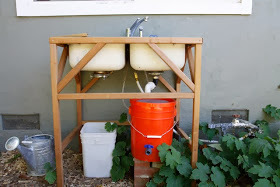 This one shows how the buckets are used underneath for the run-off "grey water" to use elsewhere in the garden. This doesn't look too hard to do - and YouTube videos show you how! blue, green and brown ones! text me with a "Curb Alert"! !